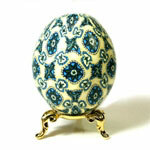 This collection includes some very different designs, unusual to find on on eggs. 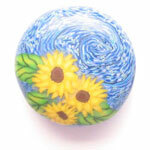 From Kokopelli, to Van Gogh styled sunflowers, to sculpted surfaces, these eggs are are very original and distinct. 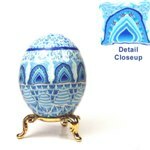 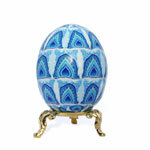 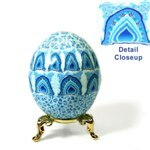 They are the kinds of eggs sought by the most discerning egg collectors.